I understand that Anew Auto Sales, its affiliates, Dealers and service providers collect, use and disclose my personal information for the purposes of (i) completing my purchase, finance or lease transaction; (ii) maintaining my warranty and customer service records; (iii) conducting customer service campaigns; (iv) providing me with marketing information; and (v) for legal and other business purposes. I consent to Anew Auto Sales, its affiliates, Dealers and service providers contacting me by telephone or sending commercial electronic messages to me, including email and text messages. 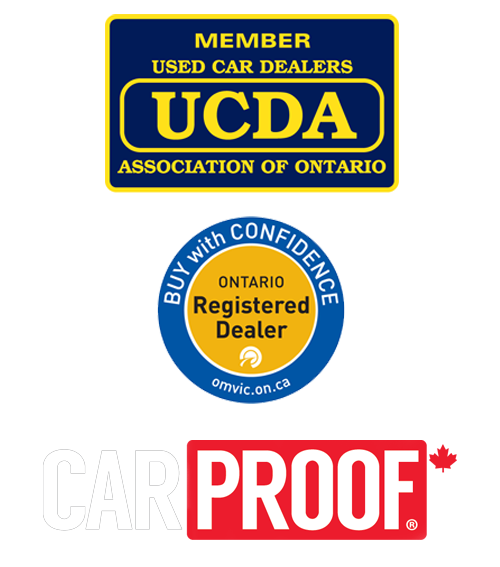 I can contact Anew Auto Sales at (905) 462-7234 or 12993 Steeles Ave Hornby, Ontario, L0P 1E0, and my Dealer if I no longer consent to these uses and to update or correct my personal information. Anew Auto Sales sells pre-owned vehicles in Canada.. Anew Auto Sales is committed to ensuring that personal information collected from its customers is appropriately protected and that their privacy is respected. 1. Why does Anew Auto Sales Collect Personal Information? (f) meet our legal obligations and other legitimate business purposes. 2. What Personal Information Does Anew Auto Sales Collect and How Does Anew Auto Sales Collect It? Anew Auto Sales collects information necessary for the purposes stated above that will enable it to identify you, including your name, address, e-mail address, telephone number(s), type of Anew Auto Sales products owned, and purchase and repair history of Products and Services. Anew Auto Sales collects this information directly from you, our affiliates, Dealers, service providers, and onboard vehicle systems. 3. How Does Anew Auto Sales Use and Share Your Personal Information? Anew Auto Sales may share your personal information with its affiliates, Dealers or its service providers. Anew Auto Sales may disclose your personal information as required by law, in connection with a government inquiry, law enforcement activities or in litigation or dispute resolution. Anew Auto Sales will only send email, text or other electronic messages to you with your consent (unless you have directed us not to do so), if you have requested information, or if you have a service contract or existing product warranty with Anew Auto Sales. Anew Auto Sales takes appropriate security and other measures to preserve the confidentiality of your personal information and to ensure that it is used for the intended purposes. Anew Auto Sales retains your personal information only as long as necessary or relevant for the identified purposes or as required by law. Anew Auto Sales requires that its service providers with access to your personal information keep this information strictly confidential and they are only permitted to use your personal information for the sole purpose of carrying out services for Anew Auto Sales. Anew Auto Sales and its third-party service providers (i.e. advertising partners and analytics providers) may use web tracking tools (e.g. cookies, web beacons, pixels and other technologies) to collect information about your online activity over time and across websites. Anew Auto Sales and its analytics providers may use this information to understand how you navigate Anew Auto Sales’s websites and respond to promotional communications. Anew Auto Sales and its advertising partners may use this information to deliver future targeted advertisements to you when you visit non-Anew Auto Sales websites within their networks. Most browsers can be configured not to accept cookies. However, this may prevent you from having access to certain functions and services on Anew Auto Sales websites. You may also set your email options to prevent the automatic downloading of images that may contain technologies that would allow Anew Auto Sales to know whether you have accessed Anew Auto Sales emails and performed certain functions with them. Deleting browser cookies can remove your opt-out preferences, so you should use these tools periodically to ensure that your preferences are up-to-date. If you are an owner of a vehicle purchased from Anew Auto Sales, you may contact Anew Auto Sales at (905) 462-7234 (from 10:00 - 6:00 EST Monday - Friday) for the purposes of accessing or correcting your personal information or to advise Anew Auto Sales not to use your information for sales or marketing purposes.